After redoing Witch Mountain it looks as if Disney are enjoying the remake trail with the news that they are going to redo Flight of the Navigator according to The Hollywood Report. Brad Copeland (Wild Hogs) is writing the remake, but no director is currently attached. It starred a young Sarah Jessica Parker and Paul Reubens as the voice of Max, the robotic pilot of the alien ship. As I kid I loved this film. The spacecraft had a great design. I also bought it for my son a couple of years ago and he enjoyed it, especially the aliens on board the ship. Yet another remake and another one that makes me wonder why bother. Why not go for an original story? Do you remember the original? Should it be remade? Who should voice the ship? How could the original story be improved? In the second week of it being open Watchmen has dropped to second place in the US and Dwayne Johnson’s Race to Witch Mountain has taken the top spot. Watchmen’s takings have dropped by 67% which is not good, but it’s still taken a fair few million. I am just so surprised that Paul Blart: Mall Cop is still in the top 10. It makes no sense that a straight to DVD type of film should be doing that well, but what do I know. Taken has become the first film since The Dark Knight to have seven consecutive weeks in the top five. I really must get round to watching Liam Neeson’s latest film as it has been out on DVD over here for ages. Did you expect Watchmen to drop so much so soon? What are your theories for Paul Blart’s popularity? A while back the script writer, John August, said that the Captain Marvel film was dead. 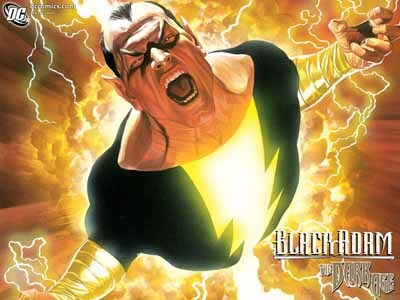 Despite the project’s troubles, Johnson said he’s still “amped-up” to play the role of the hero’s similarly super-powered nemesis, adding that Black Adam is the only comic book character he’s encountered thus far that appealed to him. The International Trailer for Race to Witch Mountain. For years, stories have circulated about a secret place in the middle of the Nevada desert, known for unexplained phenomena and strange sightings. 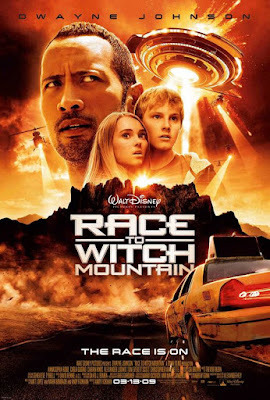 It is called Witch Mountain, and when a Las Vegas cab driver (Dwayne Johnson) finds two teens with supernatural powers in his cab, he suddenly finds himself in the middle of an adventure he can’t explain. When they discover that the only chance to save the world lies in unraveling the secrets of Witch Mountain, the race begins, as the government, mobsters and even extraterrestrials try to stop them. Race to Witch Mountain is a fun and thrilling adventure featuring incredible special effects. The animated series (first aired in the 60s) told of a boy, 11-year-old Jonny, who accompanies his father, Dr. Benton Quest, on extraordinary adventures. Fearing Jonny could end up in the wrong hands, a special agent / bodyguard / pilot from Intelligence One Government, Race Bannon, is hired to guard and train him. Zac Efron could possibly play the title role, with Dwayne Johnson as his Race Bannon. What do you reckon? 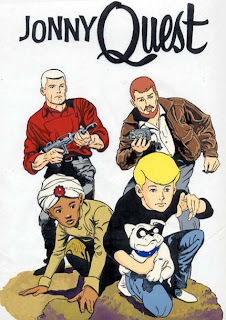 Will that cast work in a Jonny Quest film? Have the Venture Brothers destroyed Johnny’s chances? Race to Witch Mountain Trailer – The Rock’s in it. Obviously based on Escape to Witch Mountain this is the new entry in the series by Disney. Race to Witch Mountain is a thrilling action-adventure about a hard luck Las Vegas cab driver Jack Bruno (DWAYNE JOHNSON), whose life is thrown into chaos when apparent ‘runaway’ teenagers Sara (ANNASOPHIA ROBB) and Seth (ALEXANDER LUDWIG) jump into his taxi. He soon realizes his two fares are children with exceptional paranormal powers whom he must protect as they elude a collection of ruthless enemies. It also stars Carla Gugino. What do you think of the trailer? Do you have fond memories of the original? Does this compare?